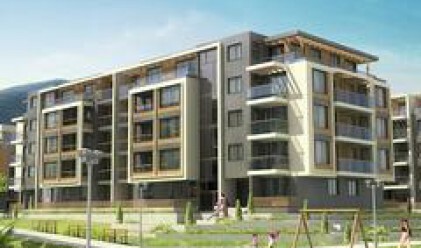 The investment company Winslow Developments has selected Glavbolgarstroy as the constructor of the first stage of its Winslow Gardens Project in Sofia's Manstirski Livadi-East area. The project will comprise apartments, two-level underground parkings, and a 2,000 m2 SPA center. Glavbolgarstroy has been selected among other candidates including the seven largest construction companies in Bulgaria. Construction works start in April. The project partner's is RREEF – the property investment unit of Deutsche Bank AG. Costs are estimated at a total of 200 mln leva (102.25 mln euros). 105 million leva (53.6 mln euros) will be invested in stage one, while stages two and three will consume respectively 50 mln and 45 mln leva. 9 mln leva will enter the national budget as taxes and fees. Stage 1 isnclude construction on a total area of 22,000 square meters. The total built-up area will be 66,000 m2. The complex will comprise 444 apartments in six low-rise buildings. Its main advantages are the low-rise construction, the 12,000 m2 park and perks such as a large SPA center, a 25 meter swimming pool, a basketball court, and the two-level underground parking.